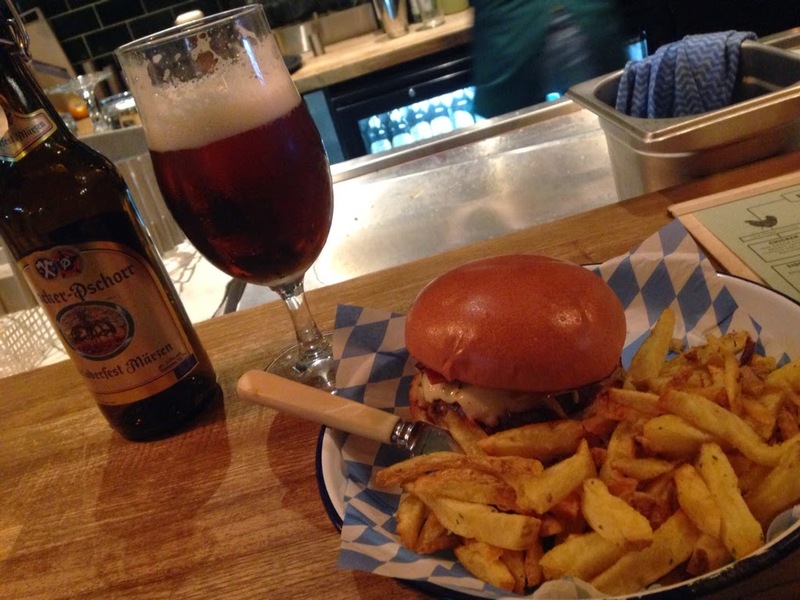 This blog comes just in time for you to go and grab this Oktoberfest Special at Honest Burger! Well, no actually I'm about 4 months too late... But it's a great beer and I've no idea why I haven't written this up sooner, so it seemed a shame to leave it in the notes folder. Plus Honest Burger really deserve the credit for offering seasonal beers, something I wish more restaurants did. 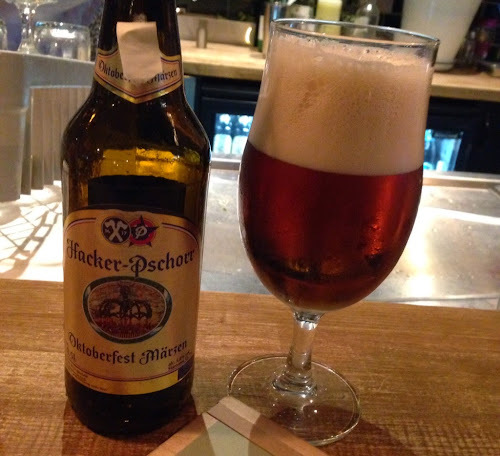 Anyway here's what I thought of this beer, brewed in the classic Oktoberfest Marzen style (if you're unfamiliar, it's a slightly stronger, more full flavoured lager traditionally served at the huge Oktoberfest beer festival in Munich). The beer pours a perfect light caramel-brown colour with a foamy white head which sticks around. The aroma is an inviting combination of spicy, slightly vegetive (celery to be precise) noble hops and bready, lightly sweet malt. The flavour is a balancing act of sweet bready malts, a touch of crisp grain husk and a nice bittersweet finish. Refreshing and smooth, yet with plenty going on. I could easily drink a stein of this, which is the benchmark for a marzen. Oh, and fantastic with an Honest Burger - still one of the best burger places in London despite increased competition and rapid expansion. Good combination to eat burger with french fries. This looks cool. I simply love them. I do not drink beer and I do not like it. But you've advertised this drink is that I want to go there and try. You can best plagiarism checker your unique text on the blog.